2017-2018 -- A special plea the next 2 years will be for each Grange to assist a local animal shelter or rescue organization. Help with food, clean blankets and towels, volunteer your time and money. 2017-2018 -- As in previous years we encourage donations to local Food Banks/ Soup Kitchens. Please keep track of the hours and amounts of food that your Grange has donated to include in your year-end report. 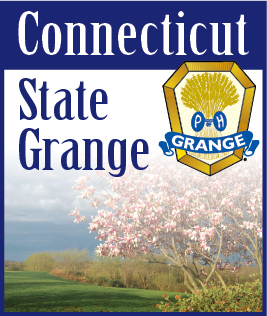 2017-2018 -- Items are always needed and appreciated for sale during the Big E.
2017-2018 -- The following CWA/Family Activities contests are offered to Junior Granges for the 2016 - 2017 Grange year: Needlework and Baking.